In 2013, Nathalie visited the Norwegian arctic in an attempt to study and draw the Aurora Borealis, better known as Northern Lights. 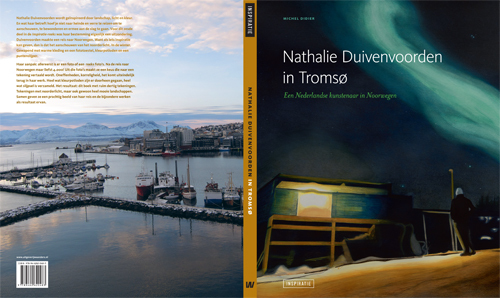 The van Vlissingen Art Foundation funded this trip, the presentation in the Rijksmuseum, and the development and publication of the book 'Nathalie Duivenvoorden in Tromsø'. This publication showcases photographs of the drawings Nathalie made during and after her travels, accompanied by text written by Michel Didier. If you want to know more about this book, or if you wish to order a copy, please mail me at nathalie.duivenvoorden@gmail.com.